Born in Ardèche between the French Alps and Provence, Alexis discovered cycling at age 12 when his grandfather bought him a road bike. 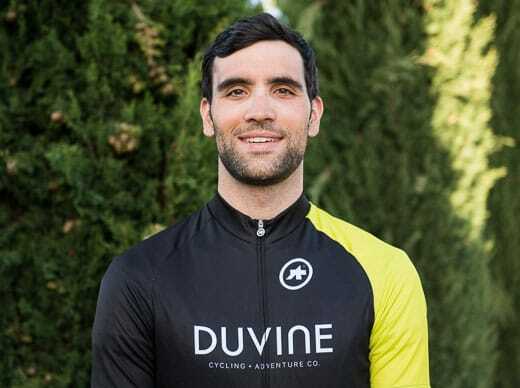 In 2012, Alexis graduated with a degree in Sports Sciences from Grenoble University, where he discovered a world of outdoor activities like skiing, climbing, and trail running. Since then, being close to nature has been a must for him. Alexis has worked as an instructor on the Atlantic coast and at a ski resort in the French Alps since 2014, and now adds DuVine as another means to share authentic landscapes and good times with enthusiastic travelers.